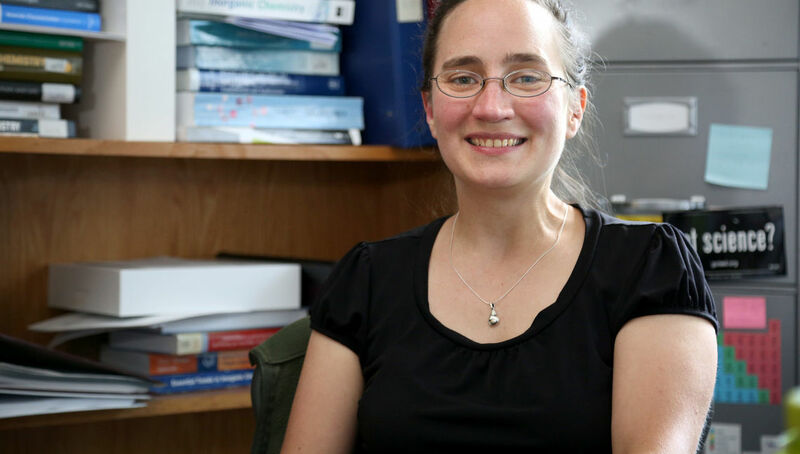 Franklin & Marshall College's Associate Professor of Chemistry Kate Plass has been named a Henry Dreyfus Teacher-Scholar, a national honor recognizing instructors committed to engaging undergraduate students in their scholarly research. The accolade comes from the Camille & Henry Dreyfus Foundation Inc., a nonprofit dedicated to the advancement of the chemical sciences. Accompanying the award is a $60,000 research grant. "I like making science accessible to people," an honored Plass said. "I like exposing students to what it really means to be a scientist – introducing them to ways in which they can transform the world for better and teaching them that to become a scientist is not by being brilliant, but by being careful, hardworking and collaborating with other people.'" This the second consecutive year an F&M science professor has received the prestigious award. Associate Professor of Chemistry Scott H. Brewer was the 2015 recipient. "I would be supremely bored and distraught if I didn't have students to teach and work with on my research," Plass said. The foundation rewards scholars who "have demonstrated leadership in original scholarly research of outstanding quality, substantially with undergraduates, as well as excellence and dedication in undergraduate education." 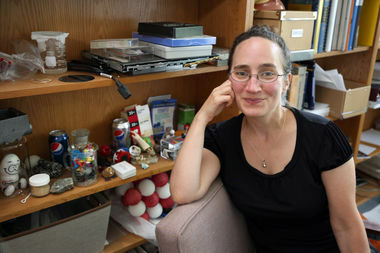 Now in her ninth year of teaching, Plass has mentored more than 29 undergraduates as she pursues research into the technological behavior of properties in surface and solid-state materials. The Dreyfus Foundation, Research Corporation, Petroleum Research Fund, and the National Science Foundation support her work. "I would be supremely bored and distraught if I didn't have students to teach and work with on my research."